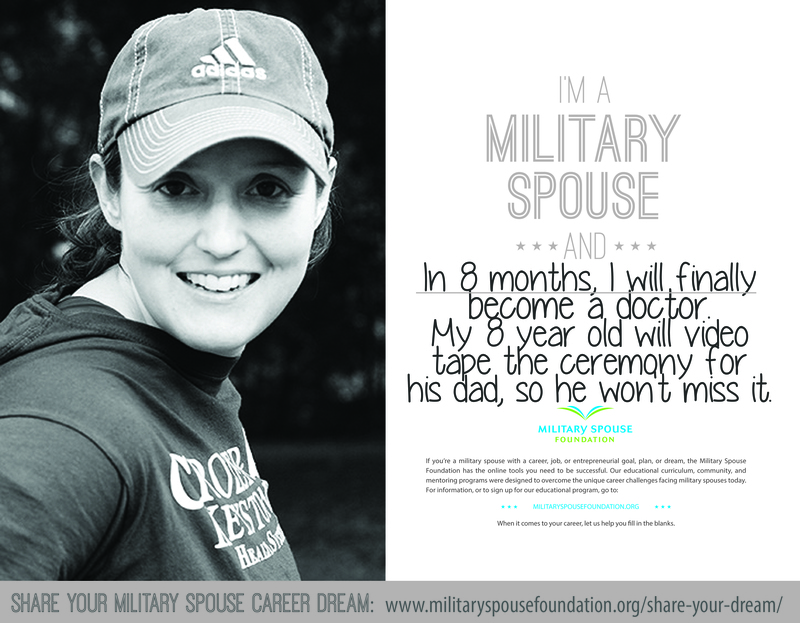 We've been getting a fantastic response to the Hall of (military spouse) Dreams campaign since the launch last week. If you haven't shared your dream yet, do it here! I’m a military spouse and… I want to return to the engineering world. I’m a military spouse and… I want to be a behavioral psychologist. I’m a military spouse and… I want to inspire others to be successful! 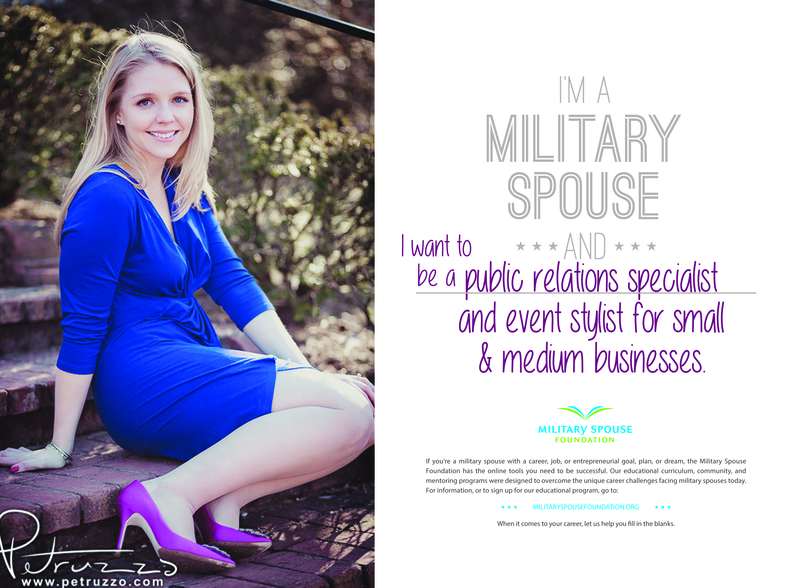 I’m a military spouse and… I will be a successful marketing and social media executive. I'm a military spouse, and in eight months, I will become a doctor. My 8-year-old will video tape the ceremony for his dad, so he won't miss it. 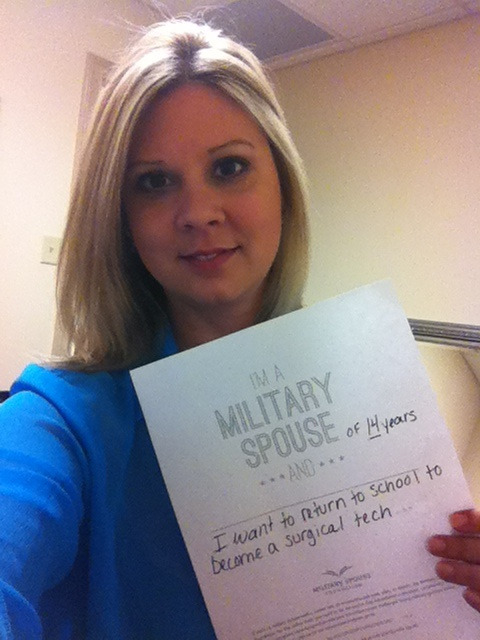 I'm a military spouse (of 14 years) and I want to return to school to become a surgical tech. I'm a military spouse and I want to be a public relations specialist and event stylist for small & medium sized businesses. 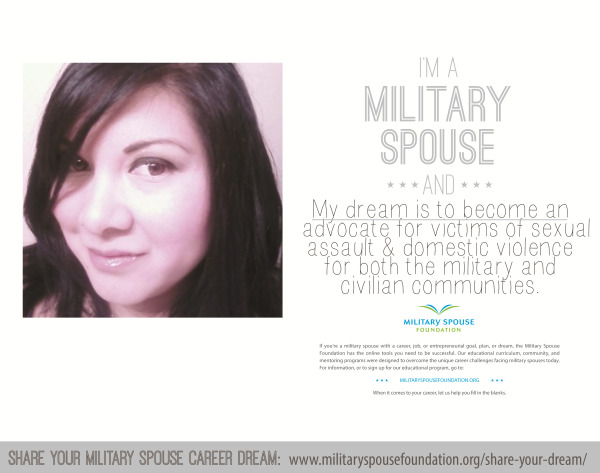 I'm a military spouse and my dream is to become an advocate for victims of sexual assault & domestic violence for both the military and civilian communities. I'm a military spouse and as a professional dancer, choreographer, teacher and fitness instructor I hope to bring to others of all ages the love, pasion and happiness in the art of dance. 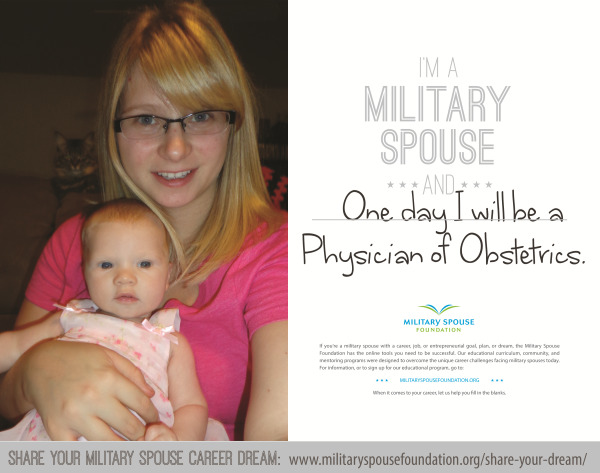 I'm a military spouse and one day, I will be a physician of obstetrics. 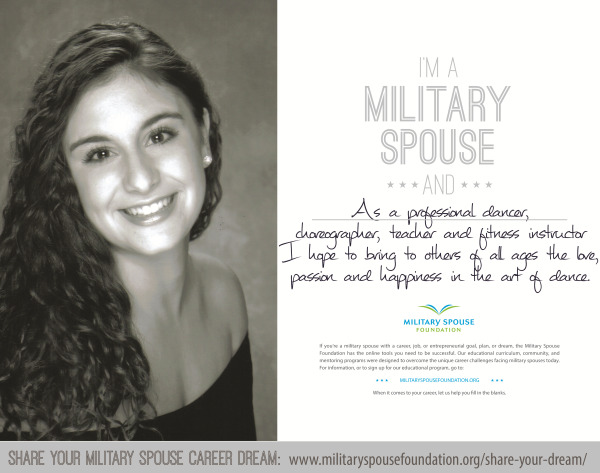 Share your military spouse career dream! Or, inspire a military spouse.